Panel material: 1.6 m/m thickness Metal, Black color painting. 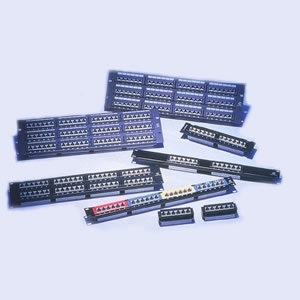 RJ45 Jack: 8P8C 45 Degree Angle type, PBT UL 94V-0 rated. 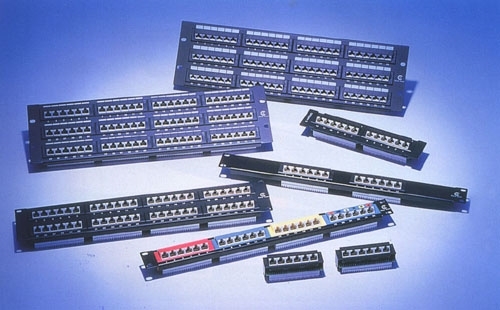 Connector: 110D connectors UL 94V-2 PC. P.C.board: FR4 P.C.B. 1.6 m/m thickness, double side. Jack Bracket Set: ABS UL 94V-0 rated. Used for Color Coding Identification, Color optional. Screws: Round head, %%c3 x 20 m/m.